Children’s Cancer Research Fund invests in lifesaving, leading-edge research in the prevention, diagnosis, treatment, and cure of childhood cancers and blood-related disorders. Fueled by compassion since opening their doors in 1981, the CCRF team has revolutionized the way childhood cancer is treated worldwide. CCRF's investments in key research initiatives and patient care have led to innovative treatments, faster cures, new discoveries, and compassionate quality-of-life programs that give hope to pediatric patients and their families. One person. One donation. One hour of volunteer time. You can make a huge difference in the lives of childhood cancer patients and their families. 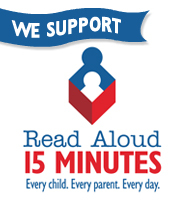 Read Aloud 15 MINUTES is a non-profit organization that is working to make reading aloud every day for at least 15 minutes the new standard in child care. When every child is read aloud to for 15 minutes every day from birth, more children will be ready to learn when they enter kindergarten, more children will have the literacy skills needed to succeed in school, and more children will be prepared for a productive and meaningful life after school. Over 60 million primary school-aged children around the world do not have access to education and most likely will never learn to read or write. Room to Read believes that all children, regardless of gender or background, have a right to education. By empowering children through this lifelong gift, we see a world in which people are able to realize their full potential. 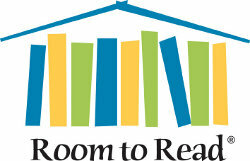 Room to Read’s programs have benefitted more than 6.5 million children so far and are on track to reach 10 million children by 2015!